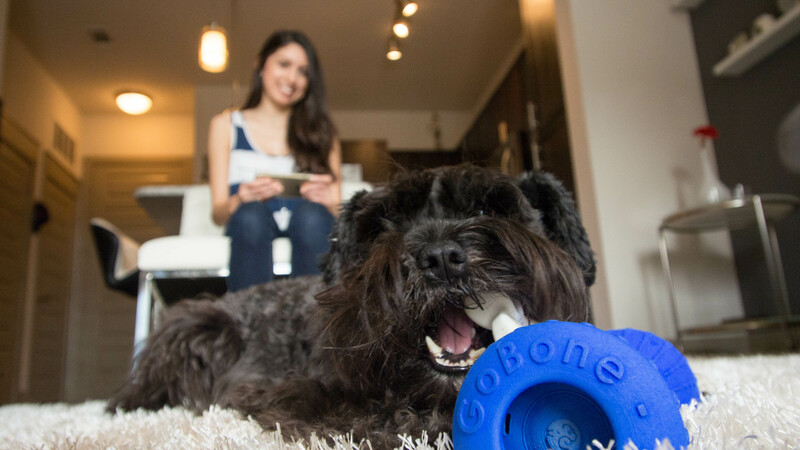 GoBone The perfect choice for pet parents who think Fido or Fifi need a toy that plays back. Endless hours of entertainment for pet and parent with this tech-smart gizmo. Does your dog get bored from time to time? Are you looking for a new plateau when it comes to pet-ertainment? Ever wanted your dog’s favorite bone to be a little more lively? That’s why GoBone was invented. 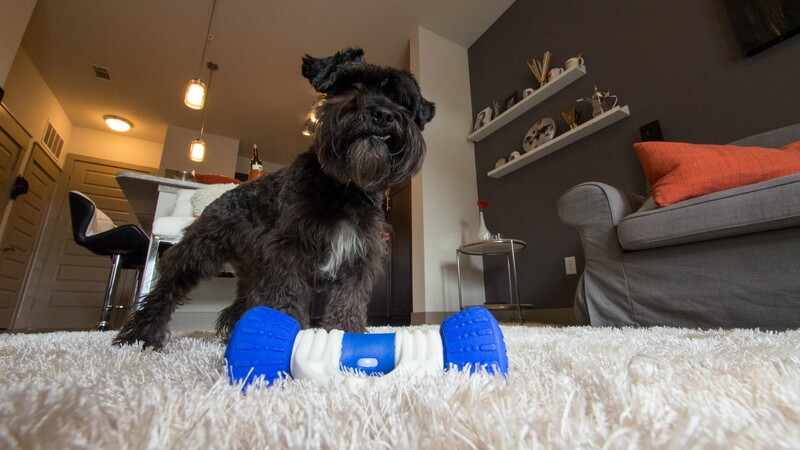 This tech-smart toy moves around on its own surprising and engaging your pup. More than enough to entertain most dogs when their owners are busy. But pet parents can join in on the fun by remotely controlling the toy with a smartphone app. It’s a safe bet to try this dog toy that plays back. You’ll both be looking forward to a whole new dimension to playtime.